1. When to take weight gainers? Before or after the workout? 2. Full body workouts or split routine? Which of these muscle building workouts is better? This is a very broad question because it involves so many variables. And the most important aspect to consider is your previous experience in bodybuilding. For beginners full body workouts are better because they don’t need the high volume of sets. For a beginner doing full body workouts 3 times a week is going to be better than a split program. But in time your body will adapt, so the routine will need to be changed. 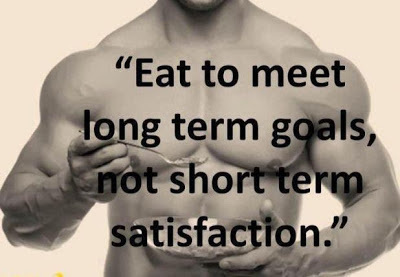 It is even better if you follow a specific Fitness program, because it will gradually take you through this process. For example the “No Nonsense Muscle Building” program of Vince del Monte starts with full body workouts for the first 6 months and then it graduates to a split program, because at that point your body needs more volume per body part. 3. What to eat after a workout to lose weight? Should I avoid carbs? No, you should keep the carbs in! First of all you should eat some complex carbohydrates about 3-4 hours before the workout to have plenty of energy for the workout. Then consume a meal consisting of protein and carbohydrates about 45-60 minutes after the workout to replenish glycogen levels. You can’t live without carbs and you do need to consume them somewhere in the day, and these are the best times to do it – 4 hours before and 1 hour after the workout. If you maintain a caloric deficit and you avoid carbs for the rest of the day, you will still lose weight, burn the fat and also maintain your existing muscle mass.